Home / General / What really makes a civil servant quit? Between 1996 and 1999 the rate of resignations from the civil service rose by 34%. The civil service had been under resourced and demotivated, while subject to an embargo on hiring staff. Staff careers and earnings had stagnated. The result was that as the economy started to pick up again following the dark days of the 1980s critical civil service staff began to walk out the door. In order to try and understand what had cause this 34% rise in departures the civil service commission hired an external consultant to conduct a staff retention survey. 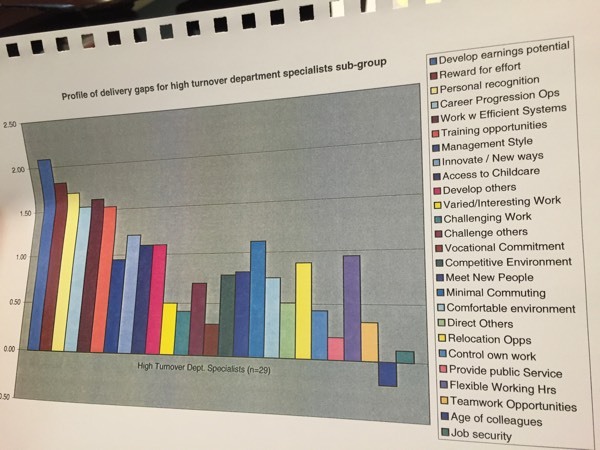 I thought that the findings might prove a useful insight into one possible future path for the Civil Service given the way history seems to have repeated itself in recent years. The costs of dealing with staff unhappiness when it has become a crisis are far higher than recognising them early and taking corrective steps. Perhaps we might, for once, have a chance to learn from the past in time to prevent a crisis in service delivery in the future.